You have probably heard the term, “MOOC” and have noticed its growing frequency of use in higher education. 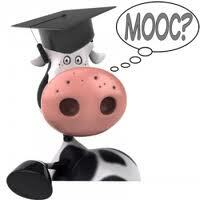 MOOC stands for “Massive Open Online Course,” and is freely available online and open to anyone. With this being said, hundreds to thousands of people could be enrolled. From Coursera to Udacity to EdX, MOOC companies are sweeping with popularity. However, with these new types of courses come two key copyright concerns. The first concern has to do with ownership of the content within the course. According to a blog post by Kenneth Crews, “We should view the copyright in online courses not as a legal assertion, but as a set of rights to be shared and managed. Rather than leave copyright ownership to a legal answer, universities and their faculty should implement policies and agreements that specifically distribute rights among the interested parties.” This is true because depending on the university, some content created by faculty can be “work for hire” in which the university owns the material, while other works created by faculty members may be owned by those faculty members, and sometimes, content may even be owned by the commercial MOOC company. “Best practice would be to understand the terms, bring all relevant players together, and get written, signed agreements in order to have clear lines around who owns MOOC content,” according to a blog post by Merrilee, Senior Program Officer in OCLC Research. Since it can be difficult to know where to start when looking for resources – especially ones that are MOOC-friendly please begin by visiting some of the websites below. Remember to read the fine print to ensure proper usage and attribution. If you have any questions along the way, please be sure to contact Bellevue University’s Copyright Center by phone (402-557-7305), or email (copyright@bellevue.edu). As always, thank you for your continued support.